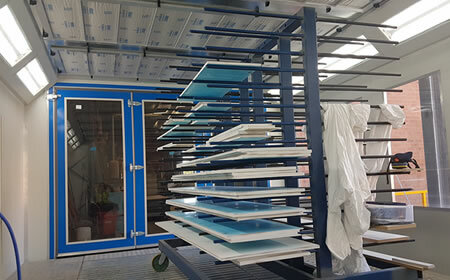 Aviation & Aerospace spray booths. TRUFLOW are the leaders in high quality Aviation and Aerospace Spray booths, designed to suit client specifications Australian & International Standards .. The Latest in Infra Red Drying technology. What kind of Spray booth can we help you with ? Truflow Spray Booths is a diversified designer, manufacturer and installer of industrial and commercial spray booth products. 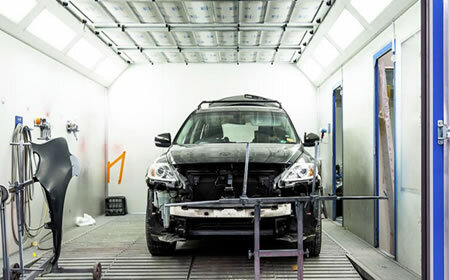 Used and trusted by Australian manufacturers such as Siemens, Bombardier and Veolia, any paint shop in any industry is home to a Truflow spray booth. 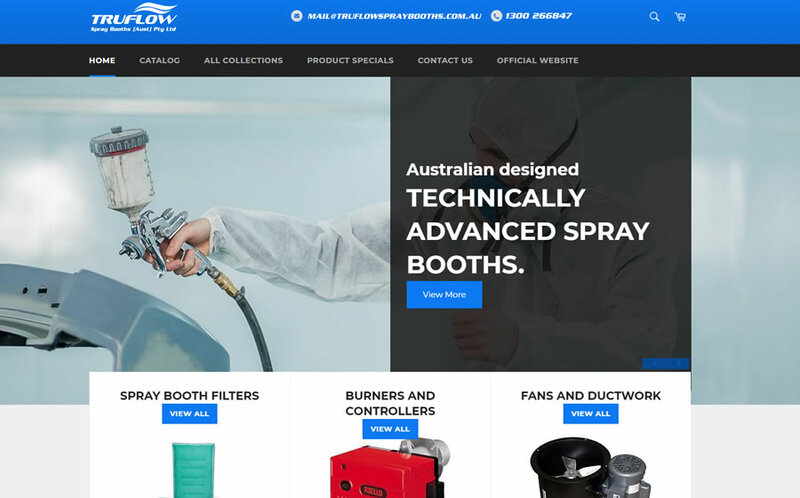 Working throughout Australia Truflow spray booths have been installed Australia wide in a variety of industries including Automotive repair, Aviation, Industrial, Commercial Trucking and Cabinet Making. Truflow is dedicated to the highest quality products and servicing every spray painting industry no matter how large or how small the project may be, Truflow Spray Booths has a solution to suit your coating needs. 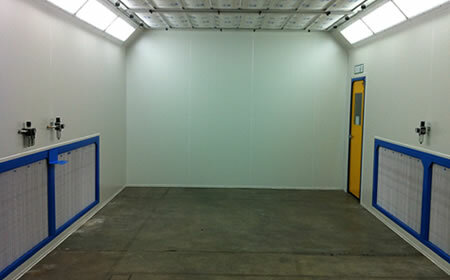 We provide quality Australian made paint booths. Truflow Spray Booths have continuously looked to innovation and long term durability when designing the large range of Australian built spray booths. It is more clear today that Australians are more aware of their global impact and the running costs of their workshops. 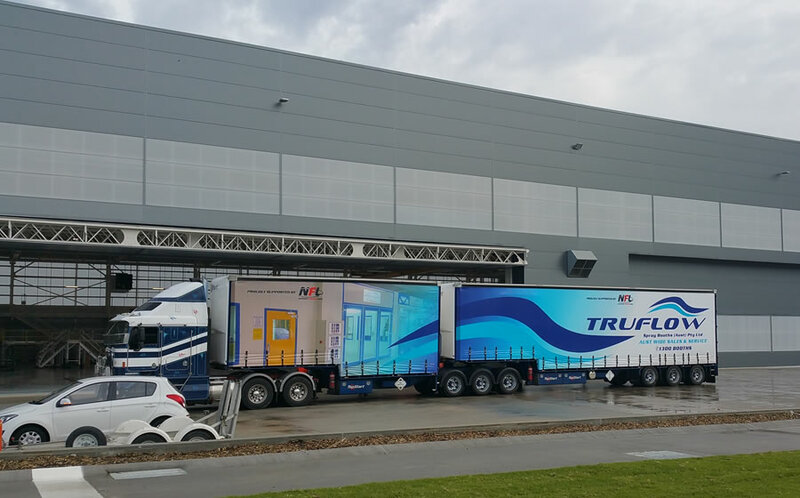 TRUFLOW has worked to develop eco-spray technology ensuring companies understand the ability to reduce their carbon footprint with new more economical, environmentally friendly machines that are inexpensive to run and provide a cleaner painting solution. 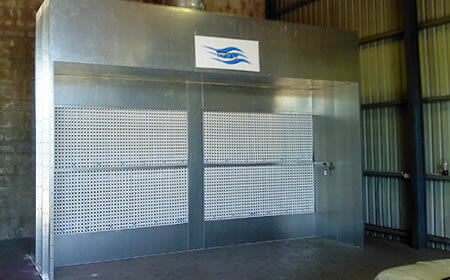 TRUFLOW Spray Booths is the only Australian spray booth company to provide a complete service division. 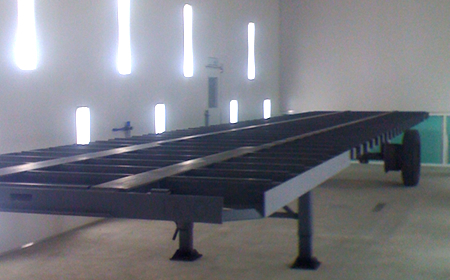 Truflow service and maintain all spray booths with scheduled servicing programs and quick response breakdown services. Speak with a member of our experienced team today! 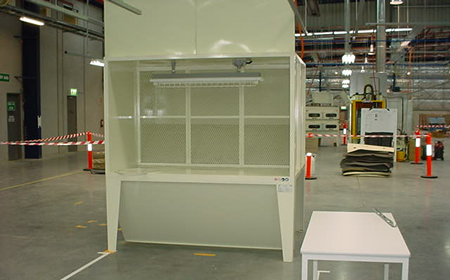 A TRUFLOW booth is clean, efficient and Australian made to fully comply with all relevant Australian Standards. 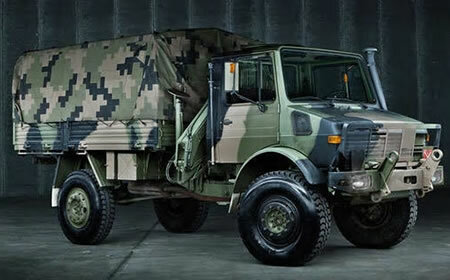 Engineered to meet the safety code requirements for each state and territory, far exceeding the minimum OH&S requirements and EPA Legislation including exhaust filtration requirements. The TRUFLOW range of spray booths and prep areas are designed to protect those that work within the spray environment, as well as those who work outside it. Full safety interlocks and operator protection is included as standard in our booths. TRUFLOW have engineered all products to efficiently remove the overspray, provide clean filtered air into the work area (design dependent) and provide operators flexibility, airflow control and constant ventilation for water based coating applications as well as solvent based paints. TRUFLOW Spray Booth’s clean environment range maintain uniform air flow throughout the work area and ensure the highest quality finish with filtration by Viledon (560G10) pads. Heating is provided via a direct fired GAS System and modulation controls, this ensures accurate and consistent spray and bake temperatures inside the cabin. All our enclosed clean environment range of spray booth products use the same trustworthy principle of downdraft airflow with the choice of exhaust filter locations. TRUFLOW customers frequently complement our range of booths for creating an environment that allows painters to apply the highest quality automotive finishes with controlled temperature settings and rapid bake cycles to ensure quick turnaround. A TRUFLOW auto booth will provide lower operating costs with higher efficiency components and designs that result in lower energy (Gas and Power) consumption. We offer energy efficient components from VFD drives, recirculating exhaust systems, high efficiency motors, low voltage lighting, and heat modulation control packages resulting to lower your cost per product sprayed.